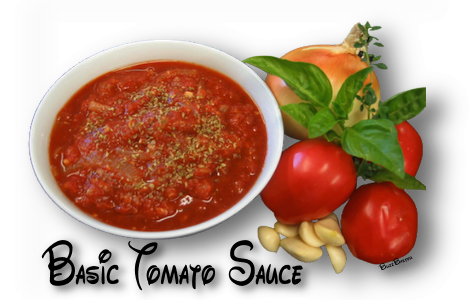 A "mother sauce" on which to build other complex pasta sauces, or just use as is. It is a great sauce for almost any pasta. This is an excellent multi-purpose sauce. If you have your own recipe or brand of sauce, by all means use it. 1. In a 3-quart saucepan, heat the olive oil over medium heat. 2. Add the onion and garlic and cook until soft and light golden brown, about 8 to 10 minutes. 3. Add the thyme and carrot and cook 5 minutes more, until the carrot is quite soft. 4. Add the tomatoes and juice and bring to a boil, stirring often. 5. Lower the heat and simmer for 30 minutes until as thick as hot cereal. 6. Season with salt and serve.